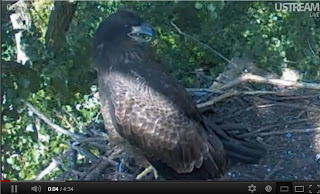 We would like to share some recent video captured from the nest cam from some Harmon fans. Harmon continues to make visits back to the nest. One video was as recent as this past Monday; he is sure "mugging" for the camera. 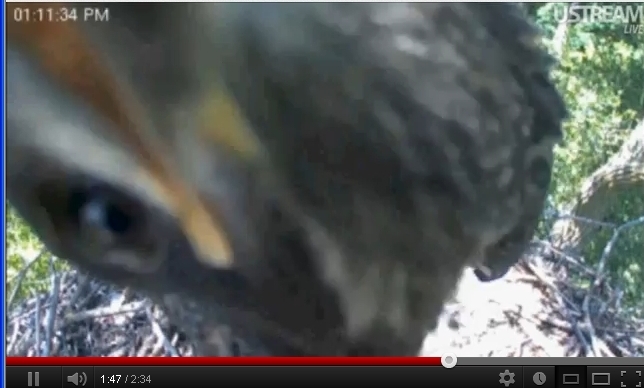 About a minute into the video, it appears that he is “feaking” (cleaning) his beak on the camera housing. We were very happy to see that he looks to also have a full crop; meaning, he must be eating well! 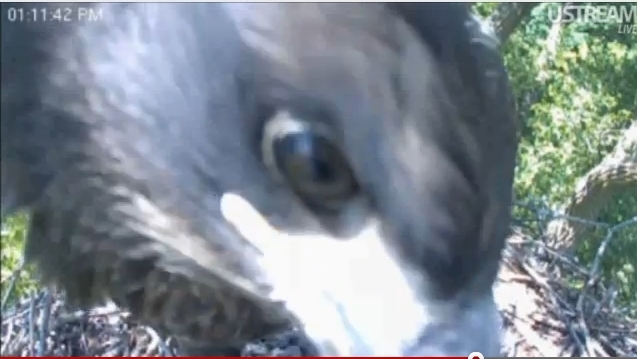 You can see a bit of a bulge just under his neck. 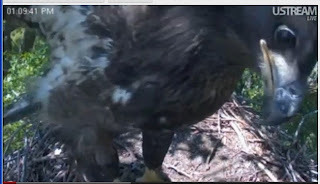 He is exhibiting the curiosity we re cognize in young eaglets as they are still processing the things they encounter. One viewer edited some footage from July 16. As you can see, Harmon appears to be healthy and doing a great job of "being an eagle." We continue to be humbled and inspired by the continued good wishes and kind words from Harmon's followers. 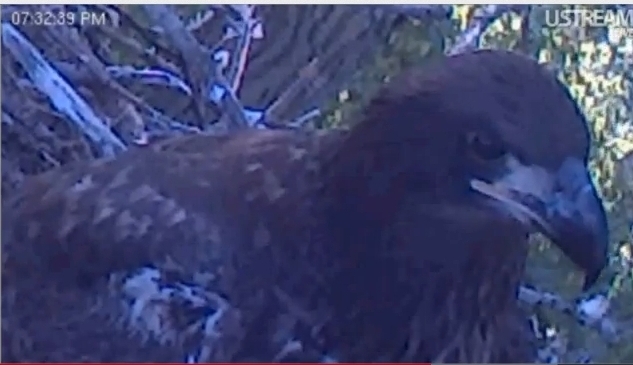 This eaglet became a focal point to teach about eagle biology as well as the environment. We are very grateful, as you all are, to have been a small part of his life. 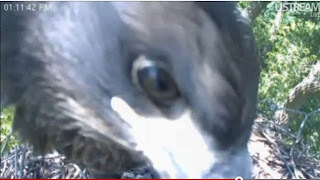 Every bird that is a patient in our clinic, and thrives once they are released for a second chance at life, is a success story. We again couldn't have been there to help Harmon and all his wild cousins if not for your support.